Even though David Cameron had to cancel his controversial speech on how he intends to lead the UK sleepwalking to the EU exit door, the Tory ‘Fresh Start Group’ nailed its colours to the mast by naming two important pieces of employment protection it wants to scrap – the Working Time Regulations and the Temporary Agency Workers legislation. The Fresh Start Group consists of around 100 MPs, many of them among the 2010 Tory intake (plus, surprisingly, Labour’s Gisela Stuart and Frank Field). At the same time Professor Francis Green, of the Institute of Education in London, released the latest European Union Labour Force Survey from 2011, showing that in the UK we are working longer hours than elsewhere in the EU. The survey was widely reported in the media, but interpreted in subtly different ways (here’s the TUC’s analysis). Ever ready to take an anti-EU stance the Daily Mail spun the figures to paint an ‘overall’ picture which included women workers, part-time (and presumably agency) workers and the self employed, which gives an average working week of 36.4 hours, leaving the UK 23rd out of the 27 EU nations. That’s no surprise as the UK has a high proportion of part time and agency workers, and many of the jobs currently on offer are only part time or agency work, where hours can be as little as 16 to 20 hours a week. Meanwhile the Mirror reported that male full-time workers in the UK (sorry, “British blokes”) work on average 43.7 hours a week – two hours longer than the EU average of 41.7 hours, and much longer than the average working hours in France and Germany. Greece has the second longest working hours at just over 42.1 hours a week, while the shortest male full-time workers’ hours were in the Netherlands – just 30.5 hours a week. It is interesting to note that had Cameron made his speech he would have made it in the Netherlands – a country which has long abandoned excessive working hours in favour of higher productivity. One of the problems with the Regulations is that they are still much misunderstood. They are painted as a ‘burden on business’, stopping workers earning overtime and thus reducing their incomes. The reality is that the Regulations were brought in to protect workers being forced to work long hours – in excess of 48 hours over a reference period of seventeen weeks (which can be extended to 52 weeks by agreement). The UK opt-out is used by some companies to force workers into signing away their rights with threats of workers not being able to work overtime, or the loss of contracts which could affect their employment. The Working Time Regulations also guarantee four weeks paid holiday, work breaks and breaks between shifts. Not all employers take a negative attitude. One national agreement I negotiated with a major employers’ organisation provided for a work-life balance agreement based on the Regulations. Some individual employers opposed it – but one of their lead negotiators told them that it was no good for their business and economic madness to have workers regularly clocking up over 48 hours per week. ‘The government should abandon its obsession with the Working Time Directive which guarantees millions of people a paid holiday and stops dangerous work being done by exhausted people. Forcing people to work longer hours is not the answer. Instead of tilting at the windmill of the Working Time Directive, the Prime Minister should be taking steps to raise UK productivity to Dutch levels and beyond, through more investment in training, jobs, infrastructure and a better work-life balance”. Also tucked away in the Daily Mail’s coverage was this little gem: “Professor Green’s study found that salaries in the UK were more unequal than any other EU country, and also that it was easier to fire staff in Britain than any other developed nation besides the US and Canada”. Professor Green concluded that the wider figures showed Britain “was not such a bad place to work after all”. Oh yeah? Try telling that to people forced to accept part time and agency work, working on minimum wage, with their employment rights under attack Prof! 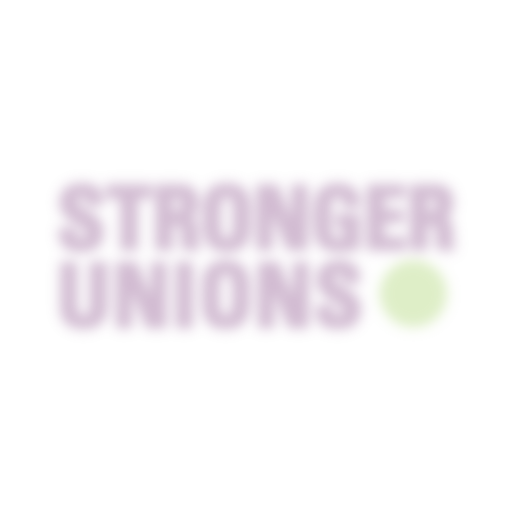 We need to remind ourselves that many workers – many in our own unions – take for granted the pro-worker legislation emanating from the EU, as though it has always been there. There are even those who misguidedly express anti-EU sentiments without recognising what they could lose. This is just what was to be expected of the Tories propped up by the evermore sycophantic Liberals. In my days as a GMB officer I was often asked about the relevance of unions in a more modern,enlightened society. My reply was that unions were set up to protect workers from bad employers. While ever there are bad employers trade unions will remain relevant. These proposals are an encouragement to bad employers, whom the Tories loosely describe as entrepraneurs,to further exploit their workforces with impunity. Meanwhile millionaires get a £120,000 per year tax cut. Whilst I’m certainly in favour of the working time directive, not everyone I speak to is. How would you argue that placing a limit on the amount of overtime that can be worked is a good thing? To play devil’s advocate, its not impossible to imagine someone wanting to work a significant increase in their hours, in the run up to Christmas for example, that would take them over the limit.